Are you looking for Indian Railway Apprentice Recruitment Details? Then find here, all the region wise vacancy details, application deadlines and all important details. Indian Railways has recently declared recruitment notice for 963 vacancies in Apprentice for South-Western railways. Apart from this, there have been huge vacancies announced for different regions including North Western Railways, East Central Railway, Western Railway (Mumbai), North Eastern Railway etc. Find all details regarding Railway Apprentice recruitment in the given sections below. The table given below contains the vacancies in apprentice posts for the different Railway Regions. The age limit to apply for Railway Apprentice Recruitment is 15 – 24 years, except for the Northern region, where the maximum age limit is 22 years. Candidates must have a minimum qualification of Matric / Class X or equivalent with 50% marks. Candidates applying for ITI grade must have an ITI passing certificate of the relevant trade. In the table below, get the links to apply for Different regions of Indian Railways. Read more about the process, vacancies and all other details in the table given below. 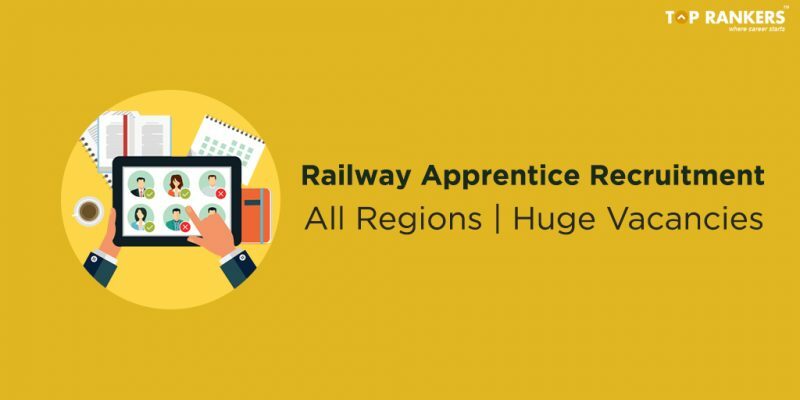 Find all updates on Railway Apprentice Recruitment in this article. We will keep you updated on all events of apprentice recruitment. Subscribe to our notifications to avoid missing any updates.